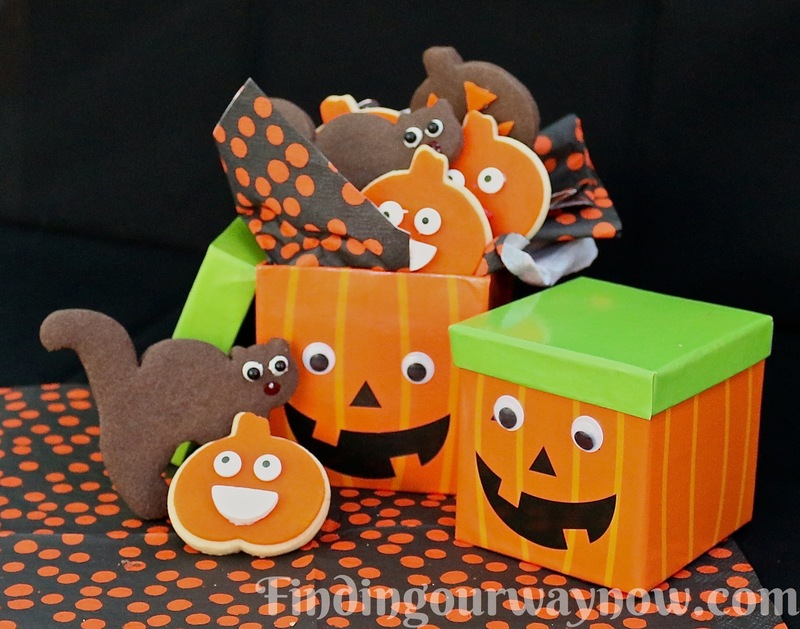 Who doesn’t love fun Homemade Halloween Cookies? 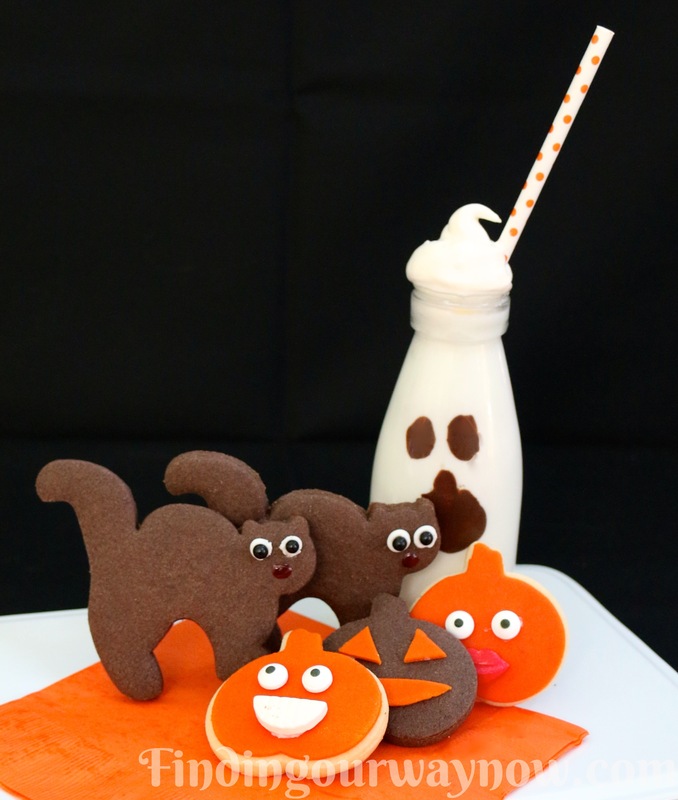 To help get in the “spirit” of things, I took a day to have fun making these Homemade Halloween Cookies to share with my new neighbor and her kids. Making cookies from scratch is never very hard. It just takes a little bit of time and assembly. The best part is you can make a few batches of the basic butter cookie recipe ahead of time and freeze it until you need it. Such was the case with my Homemade Halloween Cookies. All I had to do was unthaw a disk of my vanilla and chocolate butter cookie dough, roll it out, use my cookie cutters, bake and then have fun decorating. 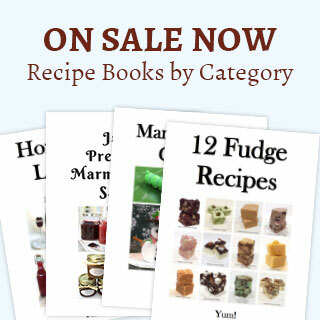 Basic Cookie Dough Ingredients: (If not pre-prepared) – Note: A full cookie batch makes 36 to 40 2½ inch pumpkin cookies or 18 to 20 4½ large chocolate cats. Heat the oven to 375 degrees F. Assemble all the ingredients. Line two baking sheets with Silpat or parchment and set aside. Combine the flour, baking powder, salt (and cocoa if you’re making chocolate) in a medium bowl and set aside. Using a stand or hand mixer, combine the softened butter and sugar until it’s light and fluffy. Then add the egg and vanilla, beating until thoroughly blended. Add the bowl dry ingredients to the butter mixture a little at a time until blended. Beat for a few seconds until the dough holds together easily. If needed, add a tablespoon of milk a little at a time, beating and stopping to pinch the dough to test if more milk is needed. Divide the dough in half. Shape each piece into a disk. Wrap the dough in plastic wrap and refrigerate for at least 2 hours (or make ahead and store up to a day or 2). Roll out the two cookie doughs to ¼ inch thickness. 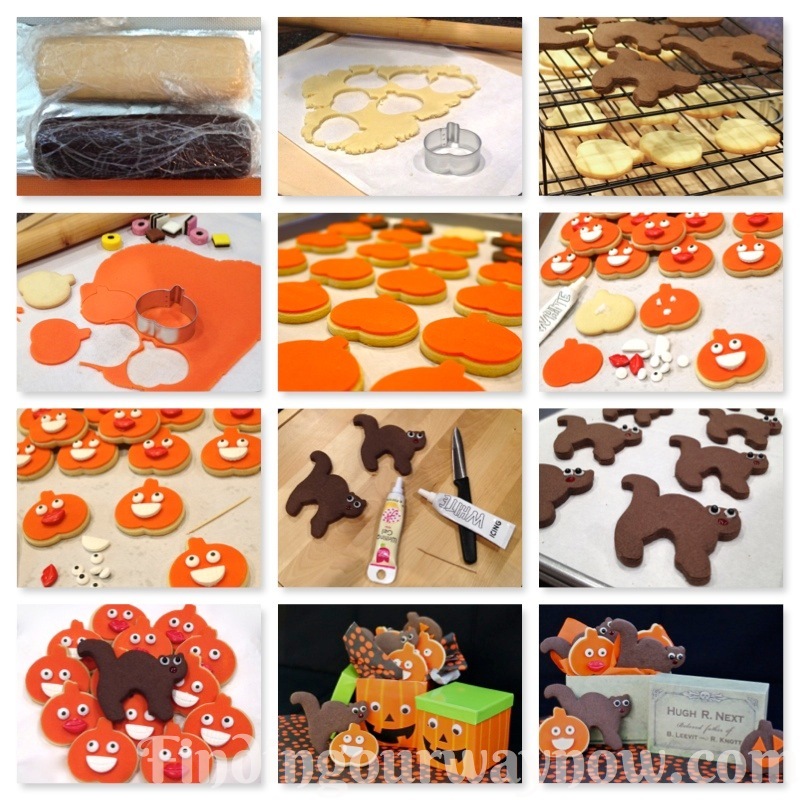 Using the pumpkin and cat cookie cutters and cut out the shapes and place on the prepared cookie sheets leaving about 1 inch of space between each cookie. Bake the cookies for 8 to 10 minutes until the edges are lightly browned and set in the center. Transfer the baked cookies to a cooling rack. Jack-o-lantern cookies: While the cookies are baking, roll the orange fondant on parchment to 1/16 of an inch (or as thin as you can make it). 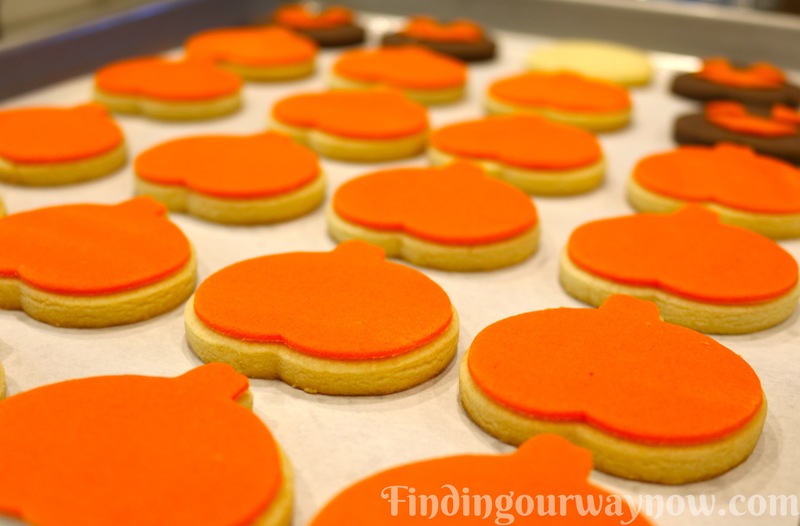 Using the same pumpkin cookie cutter, cut out the shape from the fondant and place the fondant pumpkin on the warm cookies while cooling to help the icing to adhere. When the cookies are cool, place three dots of white icing where the eyes and mouth would go. Place the candy eyeballs and candy teeth or lips on the dots of icing in the appropriate place. Chocolate Cat Cookies: When the cat cookies are cooled, place two white dots of icing for the two eyes. Press a black candy pearl on top of the white icing dot and repeat. Using the red icing, place a dot where the mouth would be, and you’re done. Notes: I’ve said it before – I love this cookie dough recipe because you can make it ahead of time. It will stay frozen indefinitely for later use. If you can’t find orange fondant make your own with white fondant adding the yellow and red food coloring by following the yellow to red ratios recommended to achieve an orange color. I use a manual pasta machine to roll out the fondant. It makes that job a heck of a lot easier. If you freeze cookie dough, double wrap the dough tightly in plastic wrap. I often make a triple batch when I make them and freeze what I don’t use. It makes having homemade cookies a snap. When baking these cookies, watch the cookies to ensure you don’t overbake them. I start with 8 minutes, adding time as needed. Decorating is fun. So don’t limit yourself to my suggestions. There are some great pre-made candy decorating options available these days so have a bit of fun. Select what you like and go for it. 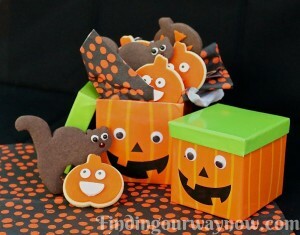 Making up a cute box or package of Halloween Cookies to give away to co-workers, family, a special friend or teacher is fun. All you need is a few cute boxes from the dollar store, some tissue, cellophane bags and a bit of ribbon, and you have a very special treat to bring smiles to some special people. These Homemade Halloween Cookies were a hit with my new neighbor. I did keep a few for myself but oh my, are these cookies a dangerous thing to have around without supervision. I fear I would have eaten them all without much thought to my waistline… LOL. If you enjoyed these Halloween Cookies, check out my Halloween Candy Corn Bark Candy, Spooky Spiderweb Deviled Eggs and Marshmallow Spiders.